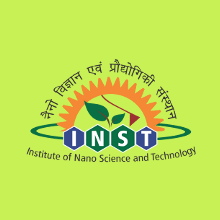 INST Recruitment 2019: Institute of Nano Science and Technology (INST) / www.inst.ac.in is conducting recruitment processes to fill 1 vacancy. As of now, there is one recruitment drive going on for Walk in for Technical Assistant Post. INST Recruitment 2019 - Walk in for Research Associate Post on a project entitled “Low Temperature Growth of Carbonaceous Heterostructure for Thermal and Magnetic Applications” in Department of science and Technology, INST, Mohali, Punjab on Contract Basis. Candidates are invited by Institute of Nano Science and Technology (INST) to attend walk-in-interview to be held on 18 Mar 2019 at 10:00 AM for 1 vacancy. INST Recruitment 2019 - Walk in for Project Assistant Post on a project entitled "Method development for thermal conductivity measurement of HTFs" in INST, Mohali, Punjab. Candidates are invited by Institute of Nano Science and Technology (INST) to attend walk-in-interview to be held on 15 Mar 2019 for 1 vacancy. INST Recruitment 2019 - Job notification for Director Post in INST, Mohali, Punjab on Contract Basis. Applications are invited by Institute of Nano Science and Technology (INST) on or before 15 Apr 2019 for 1 vacancy. INST Recruitment 2019 - Walk in for SRF Post on a project entitled Oriented Assemblies Of Ferroelectric Nanostructures With Enhanced Polarization For Photocatalytic Water Spliting in INST, Mohali, Punjab on Contract Basis. Candidates are invited by Institute of Nano Science and Technology (INST) to attend walk-in-interview to be held on 14 Mar 2019 at 11:00 AM for 1 vacancy. INST Recruitment 2019 - Walk in for Research Associate Post on a project entitled “Development of advanced third generation matrix associated chondrocytes for cartilage repair" in INST, Mohali on Contract Basis. Candidates are invited by Institute of Nano Science and Technology (INST) to attend walk-in-interview to be held on 08 Mar 2019 for 1 vacancy. INST Recruitment 2019 - Walk in for JRF/ Project Assistant Post on a project entitled Gold capsuled combination nanomedicine for target specific therapy of chemoresistant breast tumors in INST, Mohali, Punjab on Temporary Basis. Candidates are invited by Institute of Nano Science and Technology (INST) to attend walk-in-interview to be held on 15 Mar 2019 09:30 AM for 1 vacancy. INST Recruitment 2019 - Walk in for JRF/ PA Post on a project entitled "Dynamic Self-assembled Nucleic Acid Analogues" in INST, Mohali, Punjab. Candidates are invited by Institute of Nano Science and Technology (INST) to attend walk-in-interview to be held on 25 Feb 2019 09:30 AM for 1 vacancy.